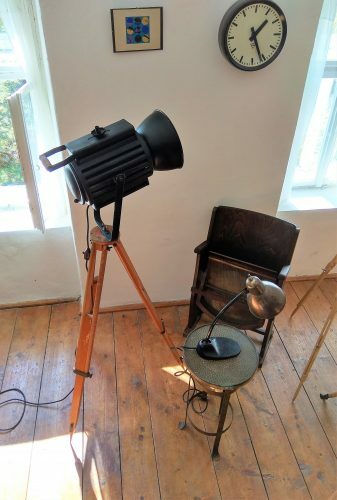 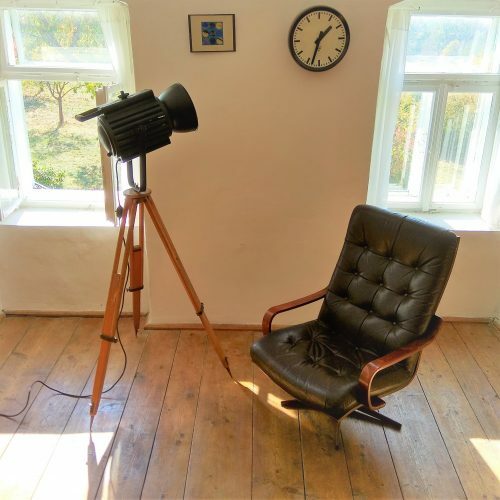 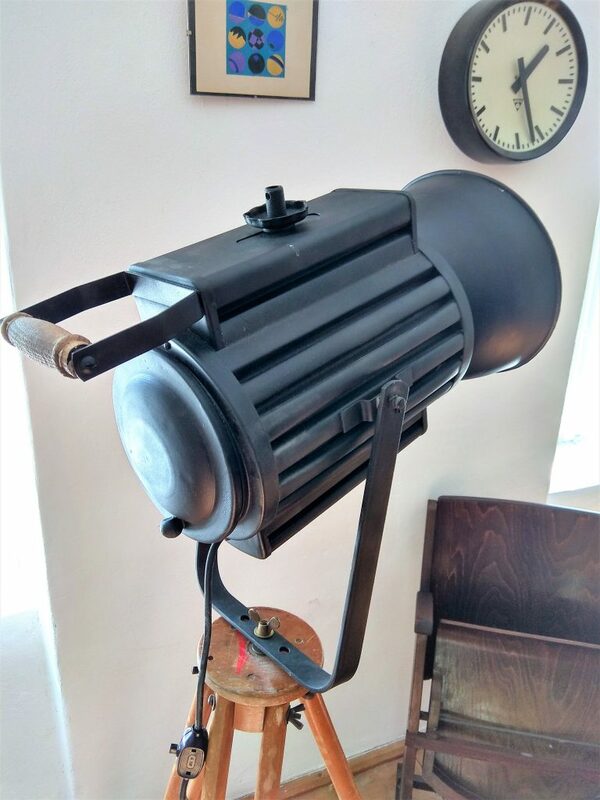 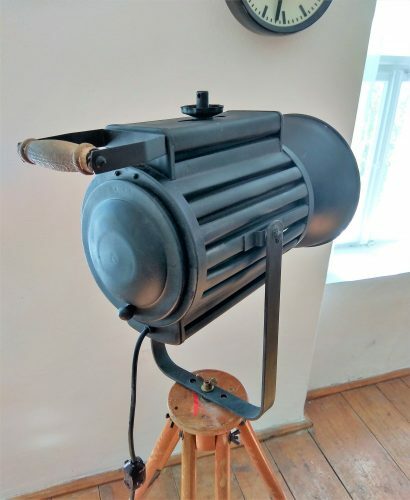 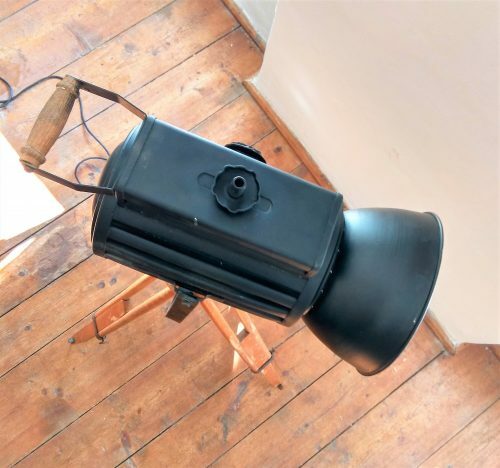 Stylish and original light to your home, studio or office. 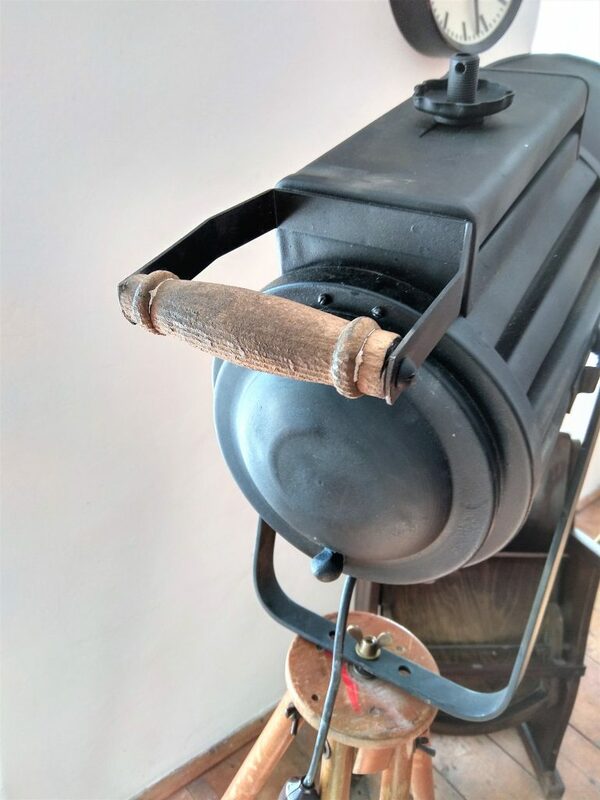 In great original condition with natural patina. 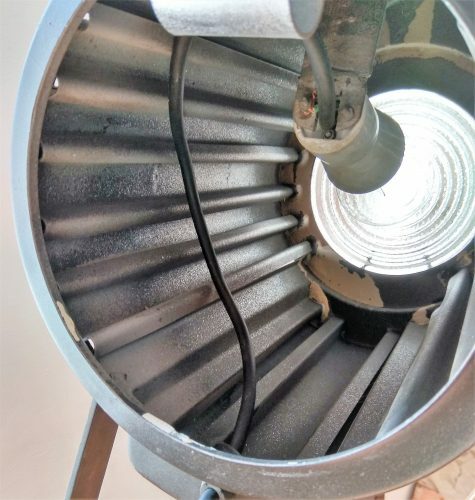 The light can be easily positioned. 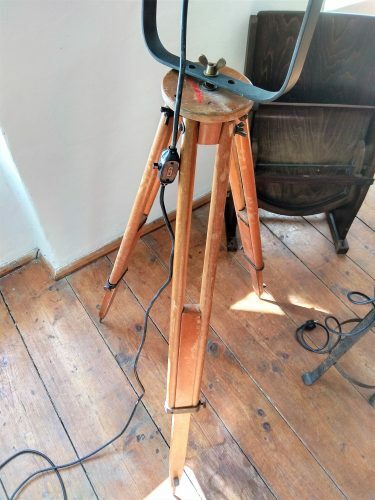 The wooden tripod is also easy to set up in height. 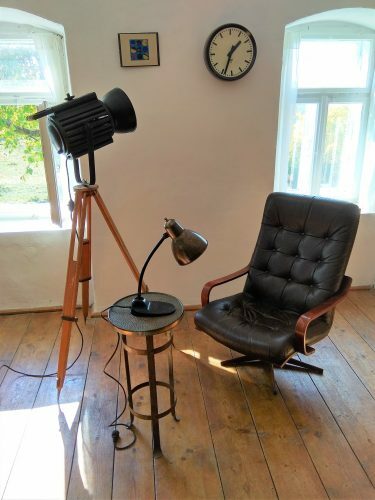 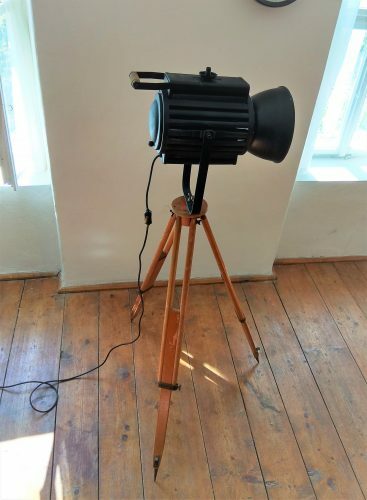 The wooden tripod is fully functional, the lamp is newly electrified. Use a E27 screw light bulb.